A twist on the seasonal favourite that is quick and simple to make. 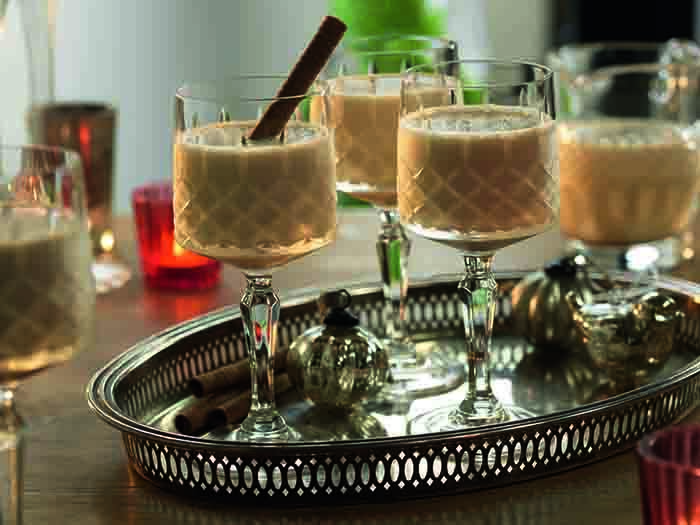 The perfect sharing drink for festive celebrations that is sure to be a crowd pleaser! In a blender combine the milk and a few scoops of ice and blend util smooth. In a separate bowl mix the egg yolks, cinnamon, allspice and maple syrup. Combine all ingredients in the blender and blend again. Pour into a glass and dust with grated nutmeg. Garnish with a chocolate swizzlestick and serve.